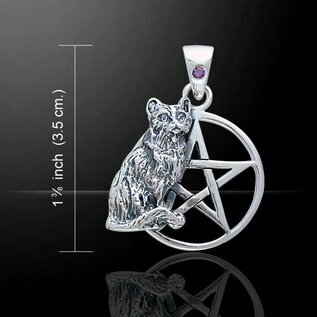 The cat, with its mysterious nature and legendary role in ancient tradition, is the perrr-fect compliment to this Wiccan Pentacle. Blue Moon and Stars – the world's leading manufacturer of fine sterling silver Wicca and Pagan jewelry – has created the Wiccan Cat Collection to celebrate the cat's long relationship as a companion to practitioners of Wicca. 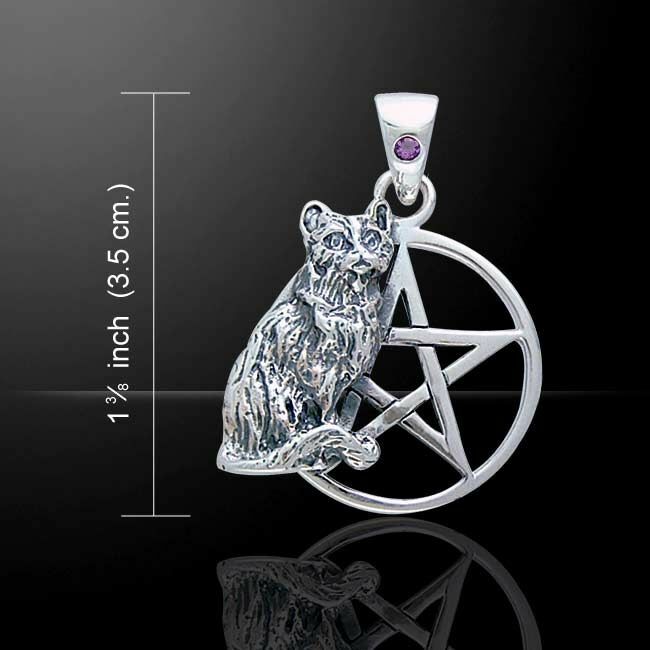 Meticulously crafted from fine sterling silver, the Silver Cat and Pentacle Pendant is an enchanting celebration of these iconic Wiccan symbols.